Is there a souvenir that is awarded for completing the GC HQ GeoTour (or any GeoTour for that matter)? If there is a way to get one, how would we suggest or develop this if not already in existence? I've given this topic a little thought. The hard part is defining what constitutes completion of a GeoTour. Quite a number of GeoTours will award GeoCoins as achievement incentives, so we could use that as a basis. There are some GeoTours where you have to find X of Y in order to receive something. The Visit Rainier GeoTour is similar. There will be four series of 25 caches. You must get all 25 to qualify for a prize for that series. Complete all four series, and get a GeoCoin. In Utah, there are five caches per county. Get three of the five, and get a county patch. There are 29 counties. WA State Parks has multiple levels. Get 50, get a silver GeoCoin. 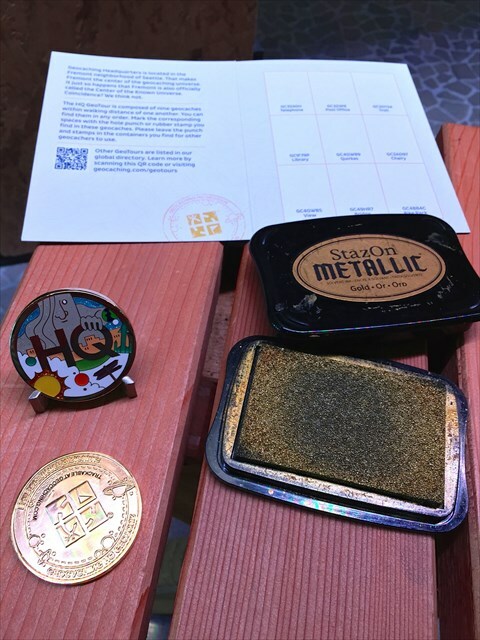 Complete 100, and get a gold GeoCoin. There are 104 caches all together, including a bonus challenge cache that you can log after getting 50. There are two approaches that I see. Groundspeak could come up with an algorithm to try and determine this. It may take some processing power to do that. (Currently, most souvenirs are easy to detect programmatically.) Or, they can create a portal for that would allow the GeoTour sponsor to create and award a souvenir. P.S., there is a new Forum section for GeoTours & Reward GeoTrails. It can be found here. It's a very good idea, and high on the wish list of the folks here who handle GeoTours. Our souvenir tool is currently not equipped to detect when someone has found a certain number of a specific set of geocaches. Hopefully someday. Moving this to the GeoTours & Reward Geotrails forum. Yes, what Rock Chalk said. It is a really good idea, ichthy9. Until we get a digital reward figured out, Hosts and geocachers do have the option of producing a physical geocoin. You can do what I do. I added a list of trails I have completed to the note section of the stat generator macro for GSAK. Better than nothing.